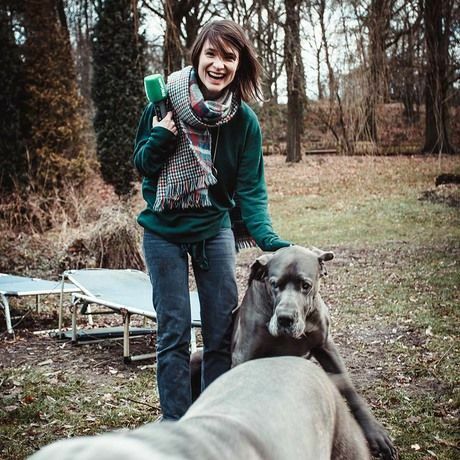 Rebekka Endler is a Cologne-based freelance writer and radio-producer, who tells stories about everything that catches her attention, from arts to animals, but mostly people. She is working for different radio-programs including the WDR, Deutschlandfunk and Deutschlandfunk Nova. Her piece about her former host family in Arkansas, for the story-telling show „Einhundert“ won the RIAS Radio Award for transatlantic journalism. She is also the author of a print version of this story, recently published in the Süddeutsche Zeitung Magazin. Currently Rebekka is doing a little less radio and working on her first novel. Before becoming a journalist, Rebekka tried our a variety of other things, which she wasn’t very good at. That includes starting a cookie business, consulting to a business consultant, being an actress, and working as research assistant in Criminology and Sociology. “Courage” - we can all agree - is such a desirable virtue, we all wish we had. Life lived courageously is the opposite of boring and meaningless. But what is “courage”? Is a bungee-jump an act of courage, or simply thrill seeking? What about facing a spider? And is civil courage really about courage, when the actor describes it as having “no other choice”. Rebekka Endler, at best averagely courageous, doesn’t have all the answers, but she did ask some questions to find out more about our obsession with courage.